Occasionally on a Monday night my friends and I will head up to Cuyahoga Falls and checkout the car show at the Riverfront Mall. I typically take my DSLR along to capture pictures of the cars. Sometimes I don't take my camera if I just need a break from the time it takes to capture all those great cars. Plus my friends leave me behind once I get started with the camera. 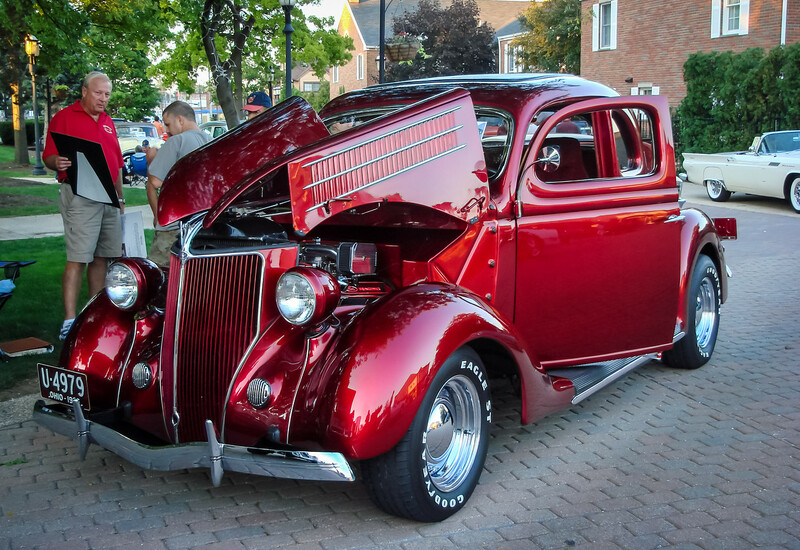 In 2007 I took a few pictures of a 1936 Ford. What a great looking car. They don't build them like that anymore. Lots of great details to be captured in every picture. If you have never gone to a car show you should checkout a local show in your area. You get to spend sometime outdoors and remember back to another time when cars were not defined by big government or the price of gasoline.